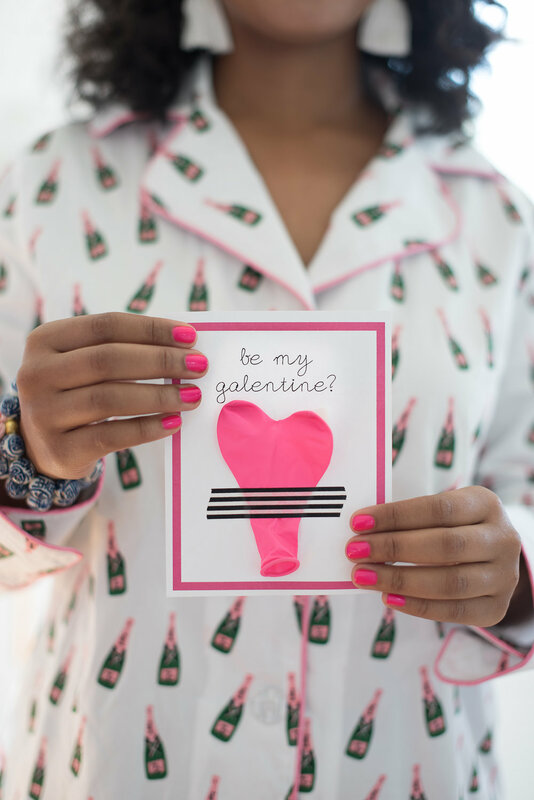 Valentine's Day will be here before we know it, but coming up before that is a special holiday we love just as much- Galentine's Day! We love Leslie Knope's (from Parks & Recreation) explanation of Galentine's Day: "Oh it's only the best day of the year. Every February 13th, my lady friends and I leave our husbands and our boyfriends at home, and we just come and kick it, breakfast-style. Ladies celebrating ladies. It's like Lilith Fair, minus the angst. Plus frittatas." This is one DIY that's super simple and pretty self-explanatory. Just download this pdf, print on card stock, cut them out along the pink border, then use your favorite washi tape to adhere your balloons. Tag us on Instagram at @cannonboroughcollective so we can see your fun creations!